One of India’s longest-serving, most-recognized and highest-paid CEOs is all set to step down in February 2017. After over 20 years as CEO of one of India’s foremost private sector companies, 69-year old Yogesh Chander Deveshwar, would be handing over the baton to a “youthful leadership”. 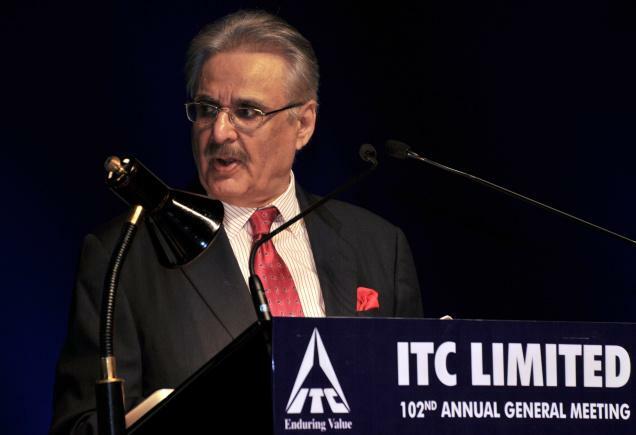 In a notice to shareholders of ITC, the company has included a proposal to appoint Deveshwar as non-executive director, not liable for rotation, and chairman of the company for a period of three years from February 5, 2017. The proposal would come up in the meeting, scheduled for July 22, 2016. It would be for the first time that the company would have a chairman in a non-executive capacity. Deveshwar had expressed a desire to shed the executive role way back in 2011 at the 100th Annual General Meeting of the company. Deveshwar joined ITC in 1968 as a management pupil after completing his B.Tech degree in Mechanical Engineering from IIT Delhi. He rose through the ranks to become the Chief Executive and Chairman of the Board in 1996. When he took over, the company was in crisis, facing tax demands and a probe for alleged foreign exchange violations. The company’s revenue was less than Rs 5,200 crore and Profit Before Tax (PBT) was Rs 452 crore. Today, the revenue has grown 10-fold to Rs 51,582 crore while PBT has risen 33 times to Rs 14,958 crore. The company’s shares grew a compounded 23.3% during this period, making ITC one of the best-returning stocks in the Indian equity market. Deveshwar is widely credited with transforming ITC from a cigarette maker to a widely diversified group. Under his stewardship, ITC created several world-class Indian brands in the FMCG space. In 2011, Deveshwar was conferred with the Padma Bhushan, India’s third-highest civilian award. In 2013, he was listed as the Best Performing CEO in India by Harvard Business Review and seventh in the world. ITC is one of India’s foremost multi-business enterprises with a market capitalisation of US $ 40 billion. Its businesses include FMCGs (Fast Moving Consumer Goods), hotels, paperboards and packaging, agri-business and IT. It is rated among the World’s Best Big Companies, Asia’s ‘Fab 50’ and the World’s Most Reputable Companies by Forbes magazine. ITC also ranks among Asia’s 50 best performing companies compiled by Business Week. In the race for succession at ITC are two senior executives, Sanjiv Puri and B.Sumant, both of whom were elevated to higher responsibilities in December last. Both are 52 years old. It remains to be seen who fills the space created by Deveshwar. But one thing is for sure: whoever it is would have very large shoes to fill.